We are looking for reliable ladies to be part of an inspirational on trend hair event. 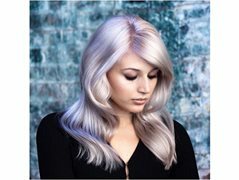 You will be cut , coloured & styled by some of the best hairdressers in the industry, including the winner of Australian Colourist of the year. Payment is a selection of luxury products to maintain your beautiful new hair. The hair prep & rehearsal will be during the day MONDAY 13TH May , Auckland. The hair show will take place the same day, early evening. * Prior to this date, as best practice, we will meet to give you a skin allergy test. Reliable confident ladies, that would love to be part of a large education event. This will include your hair being coloured & styled with on trend beautiful colours, and if necessary cut. A team of internationally qualified stylists will consult with you to create a look that you will love.